As an addition to my previous NGINX articles, today we’ll discuss how to adjust the number of child processes for PHP-FPM to fix the common error of “server reached pm.max_children” in the logs. 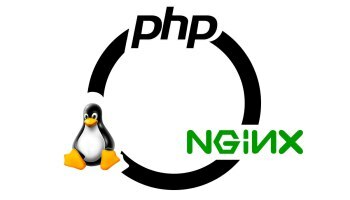 This is a follow-up to the LEMP Install NGINX PHP7 MySQL on Ubuntu 16.04 Server or LEMP Install NGINX PHP7 MySQL on CentOS 7 / RHEL / Fedora articles. By default, the pm.max_children is set to 5 when using PHP-FPM. A few of these settings are the default, like pm=dymanic. For the pm.max_requests, the setting should be there but commented out with a ; in front of the line. Delete the ; to uncomment the setting. To get an idea of what to use for the pm.max_children, you can use this calculation: pm.max_children = Total RAM dedicated to the web server / Max child process size. Remember to leave some RAM for extra services you have running on your system. Have you run into these errors in your logs? If so, what are your server specs and what settings worked best for you?